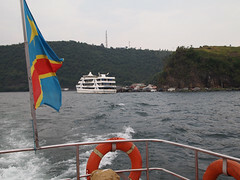 As you may recall from earlier episodes from Goma, Lake Kivu is potentially dangerous, with a vast amount of carbon dioxide stored deep in it’s depths. 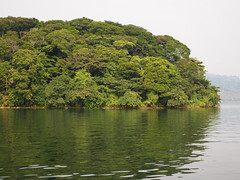 A cruise of four hours or so over it’s rather calm waters, with the farmland, forests and mountains all at it’s shores, is a truly beautiful ride. 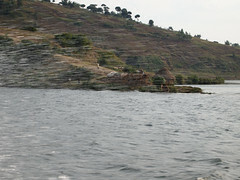 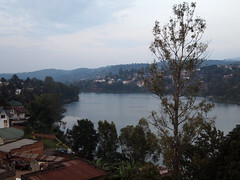 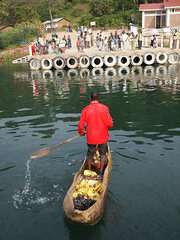 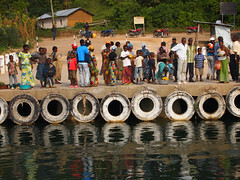 While the rebel activity still rages on the western shores of Lake Kivu, a trip on it’s waters is deceptively calm. 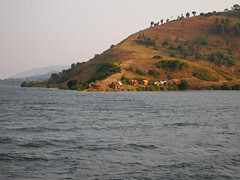 On the eastern shores lies Rwanda, which had it’s grim history, but seems to be moving beyond that. 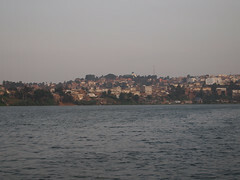 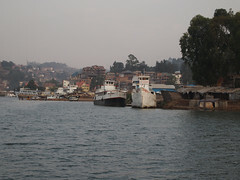 So here we are in Bukavu, which looks quite lovely from the water. 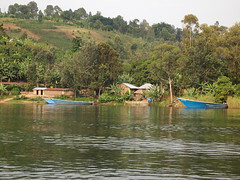 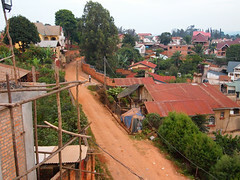 It probably was quite lovely many years ago, but once on the ground there, you quickly see it shares the same tough edge with all the other towns and communities in eastern Congo.